This day is designed to give you the opportunity to talk about your child’s progress, review targets and discuss how you can support their learning. 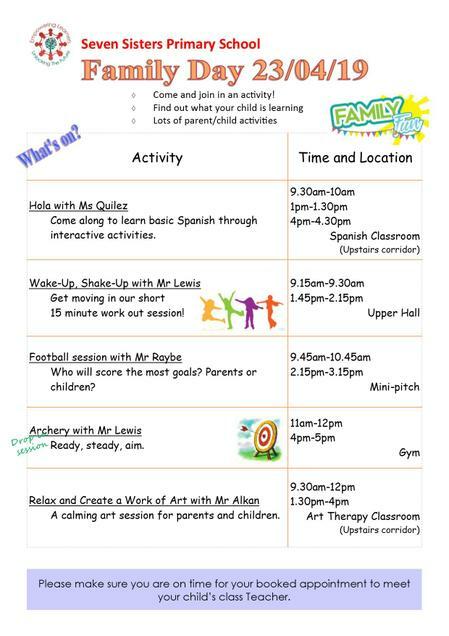 There will also be a range of events and activities for you and your child to participate in together. 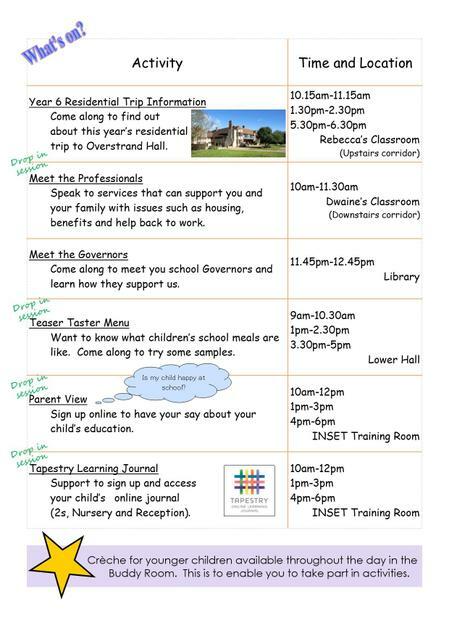 If you have not already returned your slip for your preferred time to attend, please speak to a member of staff at the school office. You will receive a confirmation slip to meet your child's Class Teacher.